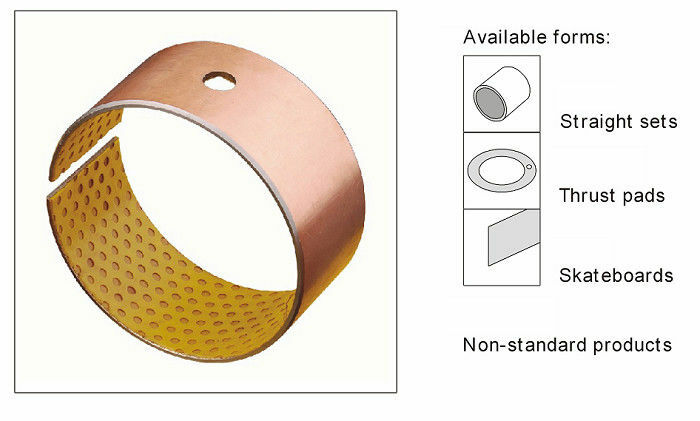 Self Lubricating Sleeve Bearings | Wrapped PTFE Lined Series Bearings 1/4 " ID x 5/16 " OD x 1/4 "
Home	> Products> Valve Bushing> Self Lubricating Sleeve Bearings | Wrapped PTFE Lined Series Bearings 1/4 " ID x 5/16 " OD x 1/4 "
Viiplus range of PTFE lined wrapped bearings is suitable for dry running, low friction, low wear applications. 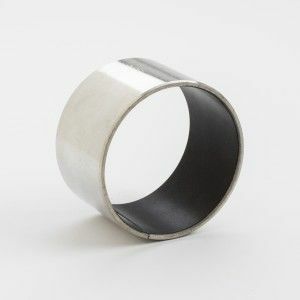 These wrapped bearings have excellent sliding characteristics forming a transfer film that can protect the mating metal surface. 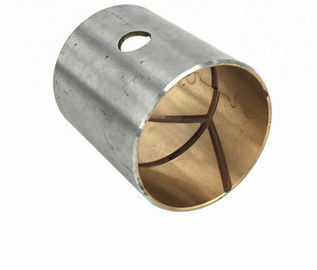 Our PTFE lined wrapped bearings have been developed for high duty, oil lubricate applications. We are able to offer PTFE lined wrapped bearings in metric plain, imperial plain, metric flanged, metric washers, imperial washers, metric strip and imperial strip. 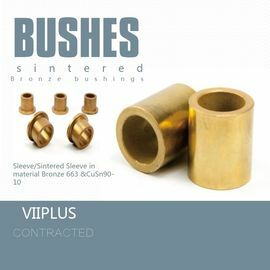 Special sizes can be produced to customer requirements. A self-lubricating bearing is a metallic component permeated in a lubricant oil. The oil provides a constant lubrication between bearing and shaft, so the system does not need any additional external lubricant. 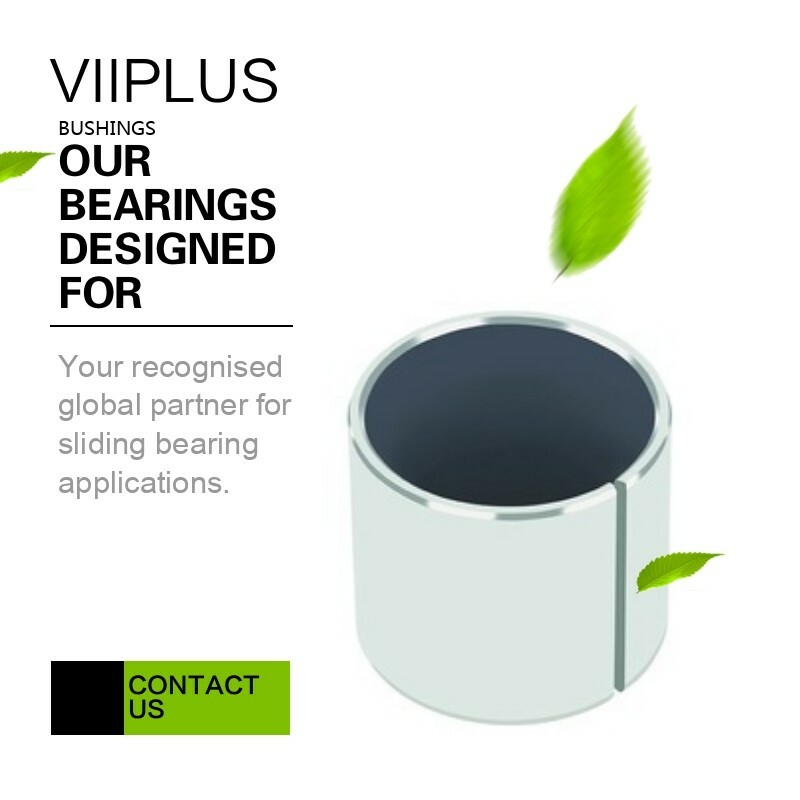 VIIPLUS Specialty Bearings features high performance, low wear self-lubricating bearing solutions. Metal-polymer composite plain bearings enable economical solutions in many industrial and automotive applications. They are particularly effective with oscillating movements and achieve a rating life several times higher than that of bearings with conventional materials. In addition, all our new plain bearings are lead-free and, therefore, environmentally friendly. 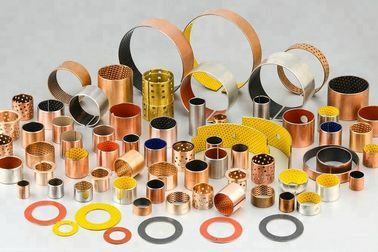 self-lubricating bearing materials are based on specially engineered liner fabrics with a tight woven fabric of synthetic fibers coated / saturated with a unique matrix of PTFE powder, high strength resin, and special fillers. 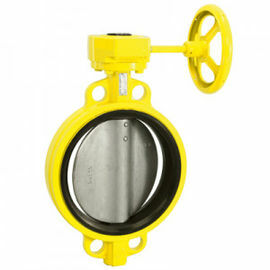 This design provides high load rating, uniform wear behavior, low friction and extended service life.